Doris and Dude specialise in creating fun, colourful socks that keep you feeling comfortable all day long, whether you’re in the office or going for a jog. 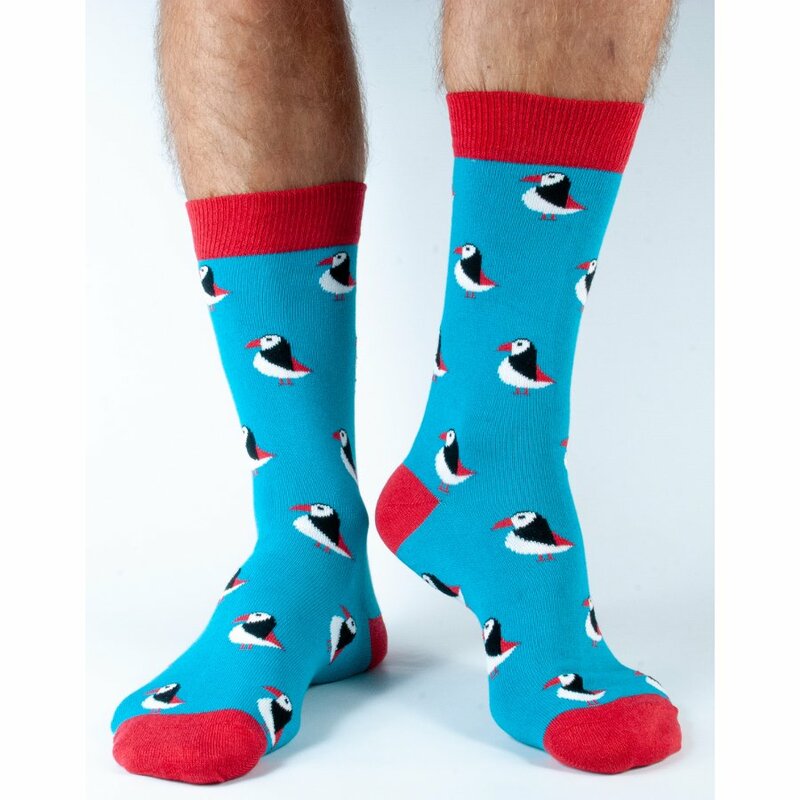 These socks feature a fun puffin pattern on a bright blue material. Doris and Dude socks are made with a combination of bamboo fibre, organic cotton, polyester and elastane for stretchiness and a comfortable fit. Every part of the material is soft and comfy, while bamboo fibre has the added benefit of being very clean. Anti-fungal and anti-bacterial properties help your feet feel fresher for longer. The Doris & Dude Men's Blue Puffin Bamboo Socks product ethics are indicated below. To learn more about these product ethics and to see related products, follow the links below. 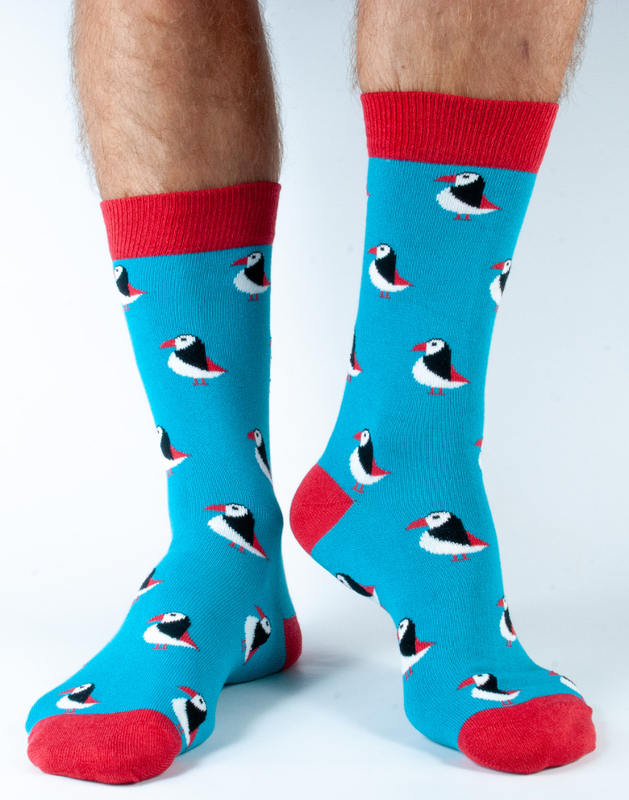 There are currently no questions to display about Doris & Dude Men's Blue Puffin Bamboo Socks.